Spread on eye fillet before cooking, stir through prawns, use as base with ginger and garlic for any stir fry meat or vegetable dish, mix in with sour cream to go with fresh pasta or as a side to any seafood, drop on with cheese and crackers. My family have always been great lovers of chilli when it comes to food, especially chilli sauces. However, we have not been big uses of chutneys and relishes, but always keen to try new things and combined with lime this chutney really appealed to me. I decided to bite the bullet and try the chutney straight from the jar with crackers. It was a good consistency. Not to thick nor runny like most chilli sauces. For me though, it was to hot to eat straight from the jar, haha. Add it into some cream cheese though and you have a really nice dip. The combination of chilli and lime with the cream cheese was really nice. Even my youngest enjoyed it. We then used the last half of the jar to mix into mince for spaghetti bolognese. We always use the same sauce when making bolognese so it was nice to spice it up a bit. Lime is not something I would generally use in bolognese so I wasn&apos;t really sure about it. It was ok. Still a bit of heat though, and the kids did say they preferred the usual flavours but when mixed with the cheese and sour cream it was good. To be honest I preferred it made into a dip than I did made into an actual meal. I like sweet chilli sauce, so I was interested to discover just how similar this chutney is to the sauce. 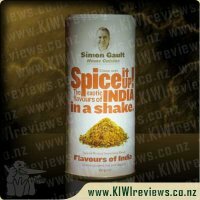 It has the same not-too-hot chilli flavour and a consistency which is just a little thicker than what would be used for pouring. However, this chutney has some additional features which makes it a versatile addition to my spice collection. The secret is in the lime, which tones down the sweetness and adds a dimension of piquancy, making for a fuller flavour. When I took the lid off, I was immediately won over by the rich lime scent. Lime has a particularly attractive smell, not quite lemon and not quite orange, but reminiscent of both of them. The contents of the jar looked like a normal sweet chilli brew only a little darker, and there was a light oil slick on the top which invited me to put my finger in and taste it straight away. It was surprisingly mild, tangy and flavoursome but without the overwhelming burning sensation you can get from chilli. It was aromatic and had both sweet and sour aftertastes which lingered for several minutes. My first tasting was with sweetcorn and chicken tenders. I drizzled the warm chutney over the corn in place of butter, and put an extra blob on the side of the plate. Initially the "blob" was a teaspoonful, but I soon realised it was not quite enough and so I topped it up with more. 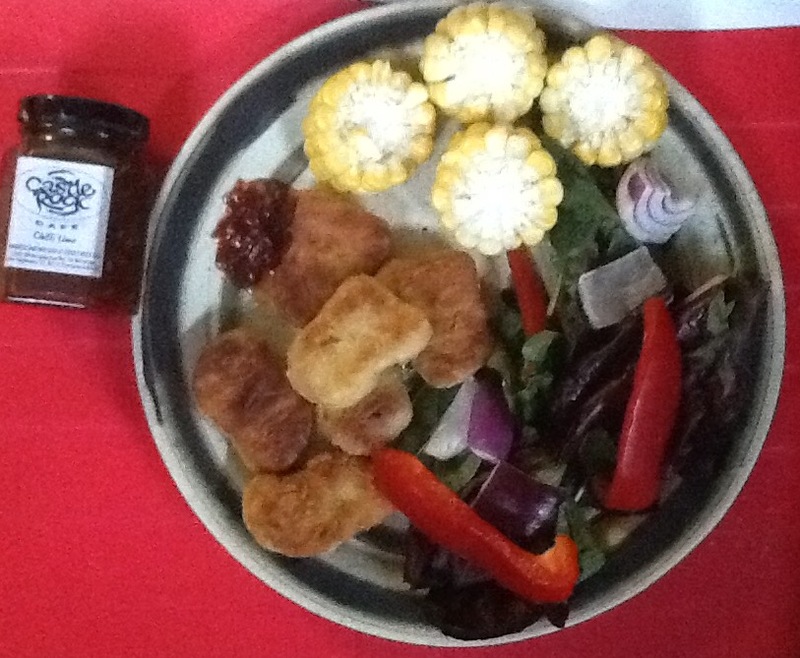 It went very nicely with the food, adding flavour to the corn and cutting the greasiness of the fritters. So much nicer than the plain old tomato sauce that was used for a meal like this when I was a child! 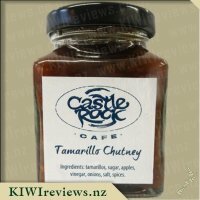 I cashed in on the grease-busting capabilities of this chutney on several other occasions. It was delicious served on a sandwich with cold roast mutton. 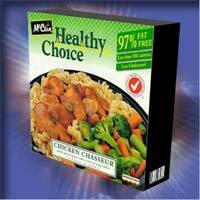 This meat is often quite fatty; this is bearable when it is hot but not quite so pleasant when it has gone cold. Combining it with this chutney means that the fatty aftertaste and sticky texture cease to be a problem. And apart from that, it tastes pretty good as well. Another really good combination is with hangi. 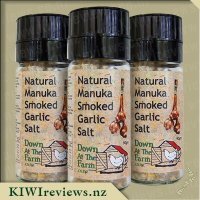 Good hangi food is up there with the best cuisine in the world, but it does often need the addition of salt. As I don&apos;t eat added salt, I am always looking for new ways of seasoning food - and this chutney is superb. It goes equally well with the root vegetables (hangi kumara and chilli-and-lime chutney is to die for), and adds a little zing to the meat and stuffing. I even tried a smear on my paraoa and that was good too! I can find only one fault with this product, and that is that the jar is quite small. I would like to see it being available in a 250g bottle for people like me who are obviously going to use it up well before the expiry date. It is a little on the expensive side, but you get what you pay for - and this is a quality product which will appeal to a wide range of people. Chilli is a favourite ingredient for me. 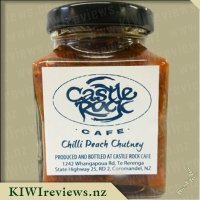 It helps make every meal pop with flavour, and I was very impressed with the &apos;Chilli Peach&apos; variety from Castle Rock Cafe, so I was definitely keen to try this product out. 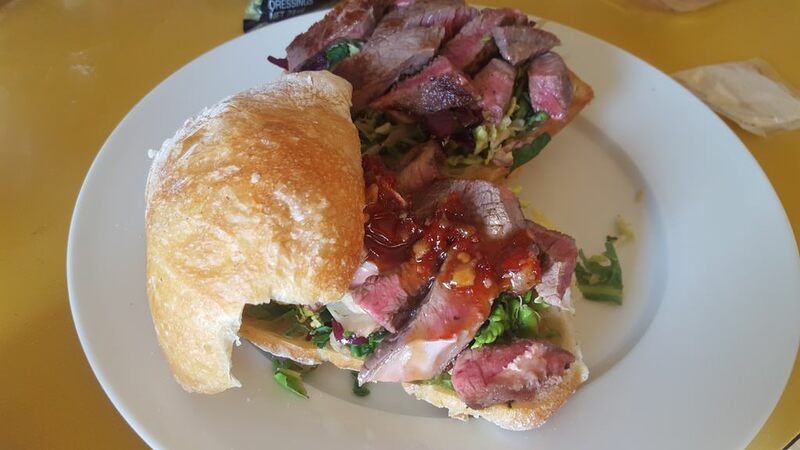 My first meal involved it being used as a sauce of sorts for a steak sandwich on ciabatta bread. The chilli actually gives quite a punch. In an otherwise bland sandwich, it was a little bit too punchy. Apart from the sweetness from the lime, there was little contribution to the flavour apart from a hit of heat. So I tried it with a second meal. This I combined some chicken with Farrah&apos;s Nacho Spice Mix, and Four Bean mix, to make some fillings for a Chilli wrap. Adding some Chilli Lime to this meal worked amazingly well. It added extra heat to the meal, but it also added a fullness to the flavour and spices from the other ingredients, making it a part of the general taste, rather than a completely separate flavour within the meal. I loved it in this form, and can definitely see it being a great addition to any mince related meals, providing some sweetness and heat to tingle the tastebuds. The product itself, is much thinner than the other products in the range. 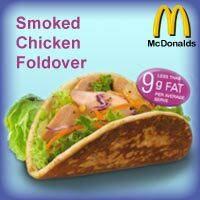 Where the others are chunky and thick, this product has much smaller pieces and a lot more "sauce" to it. More sauce means its actually easier to spread around, so this tiny little jar of goodness will last longer than the others. 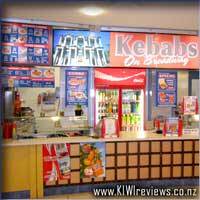 This is a product that is very easy to use, in a number of ways. You just need to figure out what way you prefer the best. This Chili Lime Chutney was a wild-card item for me. I don&apos;t mind heat but I don&apos;t seek it out like my husband. 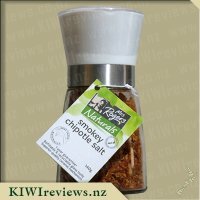 I know chili and lime to be a great flavour combination and I was keen to try this. I just wasn&apos;t sure I would be able to handle the heat. While the heat was definitely there, I didn&apos;t need to worry about not being able to enjoy this. The first way we enjoyed this chutney was over cream cheese with some crackers. I thought the sharpness of the lime and the heat from the chili was really punchy but it was still delicious. All the flavours were there and not overpowered by any other element. Pieces of the chili were big and very noticeable through the chutney too. One of our friends described it as fruity and spicy. They thought it was hot like me, but that it still tasted good. It didn&apos;t just taste of heat. Another friend described it as having a nice texture and a lot of taste, He thought it would make a great addition for cooking as well. I couldn&apos;t agree more. I added it to two meals recently. The first was nachos. So I added some of the chutney into the beef mince as I was cooking it. I then also added some on top of the sour cream in place of chopped tomato. It was a lot hotter than I would normally have, but it was still really good! That lime and the heat, just added another dimension to flavour. 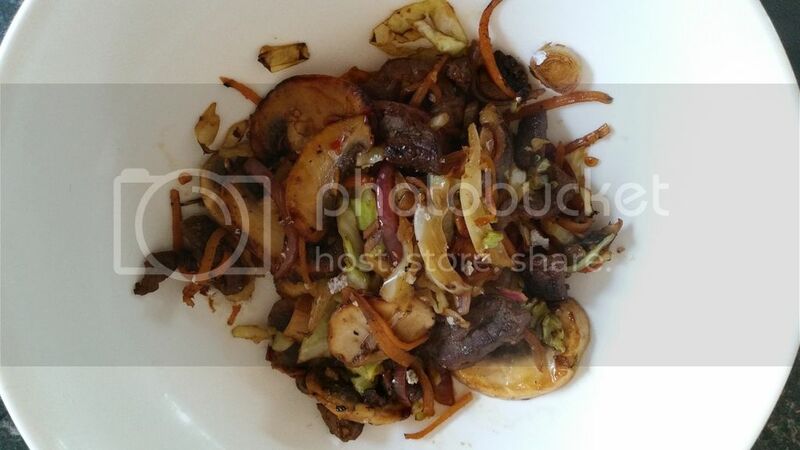 We also had a spicy lime stir fry with beef strips. I rested the meat in the chutney with some honey and soy sauce and a little garlic. Then I browned the meat, added cabbage and carrot and finished it off with some rice. The chutney really stood out. The chili was obvious as well, because you could see it. Overall, we really liked this chutney. The jar is a little on the small side, though at least it does fit in the fridge door. It would be excellent in a gift basket too. I would be thrilled to receive this as part of a gift. It&apos;s incredibly versatile as well. I loved that it could be used in our dinners and as part of our entertaining snacks. I love buying local things, and I love relish. This really is a win-win! 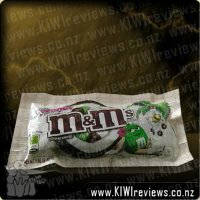 Chilli and Lime are favourite flavours of mine so I was really excited to be able to try this. When it arrived for review, there was a lot more chilli in this that I had expected and that made me a bit nervous of how hot it was going to be! The first time I used this was in a corn dish. I heated butter in the pan and added onion and fried this for a couple of minutes. Then I added the frozen corn and cooked it until it was nicely coloured then added the relish and some Mrs Rogers Chipotle Salt. It ended up too spicy for the children, however it was a great combination for adults and a great way to do corn. Next time I wouldn&apos;t use as much relish! I added a dollop of this to a sour cream dip that I made for a platter one night, and it was the perfect amount and made for a tangy and zesty dip. I also tried this on a cracker with aged cheddar and also with cream cheese. Both options are not for the chilli haters out there, but were really lovely if you can handle a bit of heat! I also made a chicken pasta dish and added a spoon to this. It was lovely as there was already a sauce to go with the chicken (just a jar) and this really lifted the &apos;mid week&apos; dish into something a lot taster that packs more of a punch. 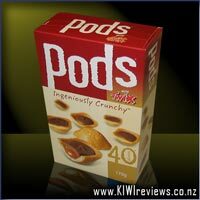 At $6.00 per 100grams, it is not the cheapest option, however I really like buying interesting products that can create a conversation when you are sharing them with friends. This is definitely one of those products. The presentation on the product is low key and local, which is nice and reflects the price. It is a handmade product and I expect to pay more for this kind of thing. From testing this product, I would definitely buy other products from Castle Rock. It would also be great for a hamper / gift basket. 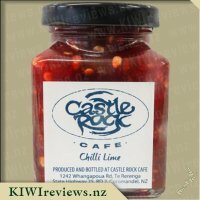 I have really enjoyed the other castle rock products that I have reviewed so I was excited to trial this flavour. I am a huge fan of chilli and love hot and spicy products. So when this turned up I was very eager to open it and try it. I really like the see through jar as you can see the product you are getting. I instantly knew looking at this jar and seeing the chilli seeds that this was going to be hot and spicy, which is just how I like it. 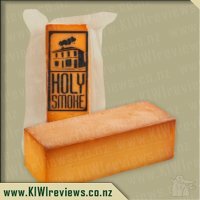 I am an avid cheese and cracker eater and thought this would be great. I spread it quite thickly onto my cracker, because let&apos;s face it you can never have to much spread on a cracker. Well this proved to be the wrong decision because my gosh it was packing the heat and had a good punch of flavour. 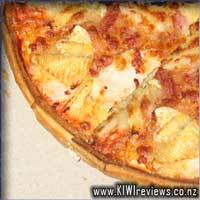 I scooped some off and spread it really thinly and topped it with cheese. Yum. I know the flavour is chilli and lime but in my opinion I think the chilli flavour really took over in this chutney. I didn&apos;t feel like I could taste any lime at all. I think the price is a reasonable price because you only need a really small amount to go around. I also think the 100 gram jar is a perfect size for stashing in the fridge. All in all I really enjoyed this product. 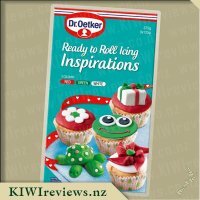 I tentatively applied to review this product - it looked delicious, but I knew it wouldn&apos;t be something my husband or Miss 7 would be keen on, however I was really keen to give it a go. Although I love chutneys and could live on them given half the chance, when I read the description this one seemed like it would need me to think outside the box a bit to come up with uses. Normally I&apos;d love to have chutney on crackers with cheese, but this looked pretty spicy to use in this way... however I decided it was a good starting point to get the taste of the product. My husband looked in the jar at the obvious chilli seeds and then looked at me like I was crazy as I happily topped my crackers with it. You could safely say that he wasn&apos;t keen to try it at all! I however actually enjoyed it. Yes, I did need to be sparing with the topping but I enjoyed the hit of chilli and the lime taste was definitely there. I tend to stick to medium spice levels, but although I&apos;d put this into the medium-hot bracket, I could tolerate and enjoy this product. I love the taste of limes, but they aren&apos;t something I keep in stock, so it&apos;s nice to get that flavour coming through in a product like this. I then decided to try mixing the chutney with some cream cheese, which I then used on crackers and also on an english muffin for my lunch at work. I loved this as it meant that I could adjust the quantities to get the chilli level right for my tastes, but I still got the lovely taste of the chutney coming through. I felt like it would also work to pour the whole jar of chutney over the cream cheese to make a sort of a Chilli Philly, but with no one around to help me eat it, I decided against that at this stage - but it&apos;s certainly something to try if you love spice! Upon recommendation from the company, I decided to try this out to make a stir fry. Stir fry is not something I tend to cook (and never without a recipe or packet mix), so it was a bit of an experiment, but one that I felt was successful. I just simply added a dollop of the chutney to my veges and meat as I cooked them, and that was it! It did end up a tiny bit hot for my taste, but a splash of coconut milk calmed it down and made it delicious... and so easy! This jar might be expensive, but due to using it in small quantities I feel like it will last a long long time. It&apos;s probably not my favourite of the Castle Rock products that I&apos;ve tried, but I&apos;ll happily keep using and enjoying it in many different ways. I like to keep several flavours of chutneys and relishes in the fridge at any one time so that I can add variety to my snacks and meals and this is a bit different from anything else I currently have. 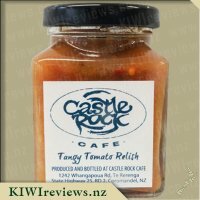 Thanks Castle Rock for your fresh and flavoursome products free from nasty preservatives and additives - I&apos;d happily recommend them to anyone. This is the Original Tandoori Marinade. 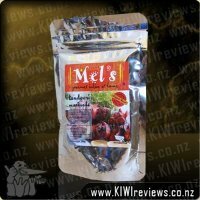 Mel's Tandoori marinade is also delicious on tiger prawns or marinate a whole fish! Easily done on the barbecue or in the home oven. Great as a finger food for parties with drinks. Use the leftover Tandoori chicken in wraps or on pizza. You can also use with vegetables! This marinade is 100% VEGETARIAN!